Dinner at the Manor’s Little Paris Kitchen…in Leeds! 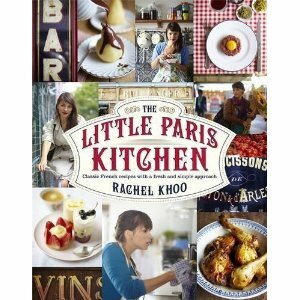 We adore Rachel Khoo and think her refreshing take on all things French brings traditional recipes bang up to date for the 21st Century! We held a private tea party based around her Little Paris Kitchen cookbook, but we really think that some of her dishes (that she tested by opening up her own supperclub) are gems we want to share! Expect French Classics with a modern British twist. We’ll be sourcing some fine local ingredients and welcoming the arrival of Spring. We require a £15 (non refundable) deposit per diner to secure your booking. The total cost of the evening is a suggested donation of £30 per diner. You will be provided with a delicious 7 course meal and fantastic company to boot. This entry was posted in Upcoming Events and tagged 2013 Dates, Dinner at the Manor, Leeds, Rachel Khoo, Supper Club, Underground Dining, Underground Restaurant, Yorkshire on September 19, 2012 by Susie Barker. Hello, yes we can, if you could send us your email address via the contact us form we’ll add you to the waiting list.